With the internet being the number one source for nearly everything that plays a major part in our well-being, it’s no surprise that many brokerage firms are moving towards offering their services online. It’s definitely not a surprise that most freelance brokers are utilizing the internet to offer the service either. The main reason many brokers prefer to offer their services online is to get everything digital. Less solves cost of having to purchase paper and ink for printers, which could be quite expensive. 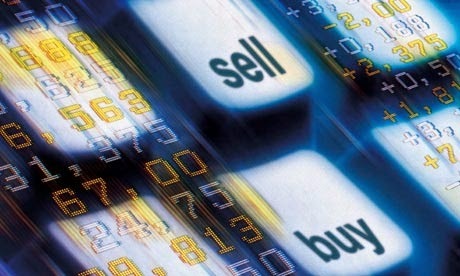 Online Brokers also allow users the ability to save time and the effort of having to drive across town just to invest. If you are in the mist of finding an online brokerage company then look no further because you will be provided a thorough comparison between the most used brokerage websites. With E*Trade, investors will have the ability to start investing at a very low price of $9.99. Investors will also have access to clear, competitive and fair pricings. When opening a Brokerage Cash account, investors will have to invest the minimum required of $500 or if they are interested in opening a new Brokerage Margin Account a minimum of $2,000 is required. Along with that there are tons of account features investors will have access to upon choosing E*Trade some of these features include online banking, mobile tracking, Mutual Funds, Dividend Reinvestment, Local Offices and Broker Assisted Trades. Opening a cash account at TD Ameritrade doesn’t require you to deposit any money but you do have to invest $2,000 to open a Margin Account. TD Ameritrade also offer retirement accounts without any deposit minimums. This brokerage company offers online trading market/limit orders at $9.99, touchtone phone market/limit orders at $34.99 and Broker Assisted market/limit orders at $44.99. TD Ameritrade also offer tons of great features such as access to local offices, mutual funds and much more. OptionsHouse investors will allow themselves to have access to many features including mutual funds, broker assisted trades and mobile trading. At OptionsHouse, investors will be able to participate in online trades and automatic investments at only $4.75 per market/limit order. This amazing brokerage company also offers investors to complete trades over the phone, which also starts a $4.75. There is no minimum required to open a cash account, however you must invest $2,000 in order to open a Margin Account. Similar to the other Brokerage Companies listed above, Merrill Edge offer some of the same features such as access to online banking, mobile trading and much more. There is no minimum amount required to open a cash account and there is a minimum of $2,000 required upon opening a Margin Account. Merrill Edge offer online trades at $6.95 Market/Limit order, touchtone phone market/limited orders $32.50 and Broker Assisted market/limit orders at $29.95. If interested in becoming a stock broker yourself, stop by http://www.stockbrokersalary.biz for more information.